The CELTA course gives you the essential skills and knowledge you need to teach English to adults and older teenagers. It is one of the most widely taken qualifications of its kind and is trusted by employers, language schools and governments around the world. This popular teaching qualification gives you the opportunity to live and work abroad and pursue a highly rewarding teaching career. CELTA gives you the skills you need to teach English anywhere in the world. CELTA is great for recent graduates, people who are changing career, or teachers who want to gain a formal qualification and may want to progress to qualifications such as the Cambridge DELTA. 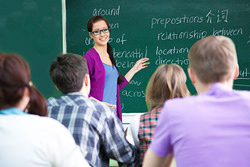 New teachers – CELTA gives you the training you need to become an English language teacher. It is ideal if you are looking for a new career opportunity or wanting a short break in your existing career. get a promotion or a better teaching position. 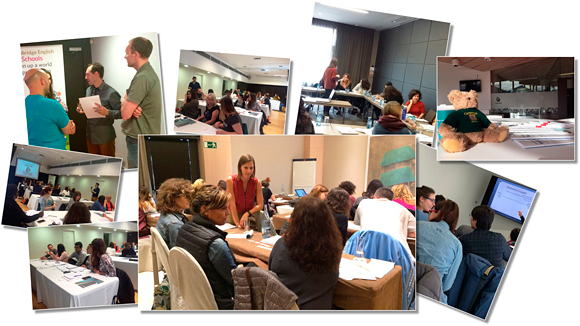 Teacher trainees are also welcome to attend any Exams Catalunya seminars, workshops or conferences free of charge during the 12 months after they complete and pass their CELTA course. Attend free of charge the year you take your CELTA Course. In this video hear from students and tutors talking about their experiences of the CELTA course and how this internationally recognised qualification has helped them. There are two types of assessment – Teaching Practice and Written Assignments. To get the CELTA certificate, you must pass both assessments. There are 120 contact hours with the tutors during the four weeks. You will be expected to work on top of these hours in lesson preparation, research and doing written assignments. Typically this adds a minimum of another 80 hours to the course. What does teaching practice involve? Our aim is to make you a confident English teacher. The tutors give you lots of help at the start of the course, and while continuing to support you throughout, you become more and more autonomous. The feedback sessions are designed to help you build on your successes and learn from your classroom experiences. After each teaching practice session trainees collaborate in the feedback session, led by the tutor. 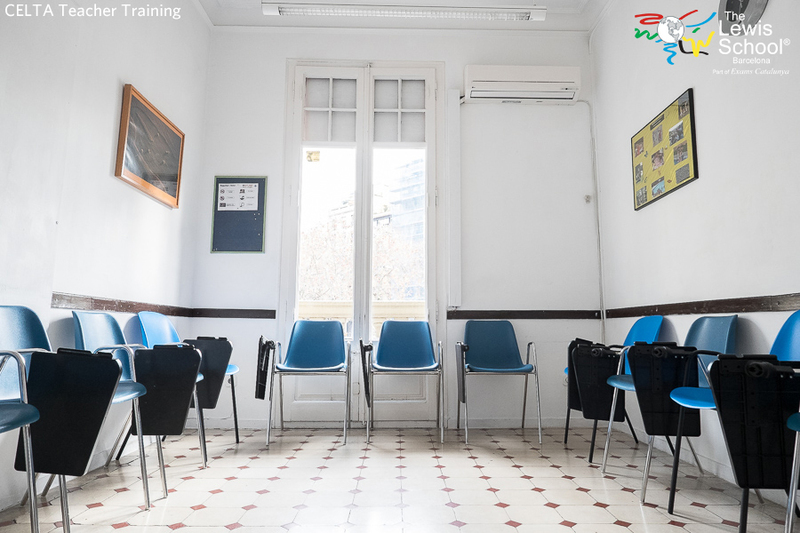 Here trainees are expected to comment on each other's lessons and reflect on what they have seen. In the supervised lesson preparation the tutors help the trainees develop the skills to plan both what they will do and how they are going to achieve it. Our aim is not to prescribe one way to teach a class, but to guide you and give you exposure and practice in different ways. At the same time, you will be informed about what is at the cutting edge of teaching practice these days. As a result, by the end of the course you will become independent in both your lesson preparation and in the classroom. 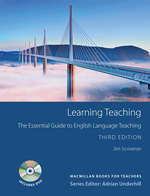 You will feel ready for the real world of language teaching. As with the rest of the course, the emphasis is on learning by doing and sessions are run like workshops, rather than lectures. They cover area such as how to teach writing, using authentic materials, language awareness and classroom management. The focus is always on ideas and techniques which can immediately be put into practice. What about observation of experienced teachers? During the course you observe different experienced teachers (often your tutors) in real classrooms teaching different levels of students. You are given an observation task to do to help you focus on particular aspects of the class, the teacher and the students. This is in addition to the extremely valuable observation of your colleagues teaching your teaching practice group. What kind of written assignments are there? All of these assignments tie in closely with the input sessions and reflect the practical, developmental nature of the course. You have access to the school reference books and materials and your tutor is always available to help you. Obviously the research and actual writing need to be done outside of the timetabled hours. Obviously the teaching is the most important element. Apart from how you actually teach the lesson, you will be graded on the preparation work you do where appropriate, such as any materials you create, and your lesson plan. After each lesson you will be given specific oral and written feedback so you will know how you are progressing. Obviously, anyone experiencing difficulties is given more help by the tutors. What types of people do the CELTA? It’s difficult to define a typical CELTA course participant! The course attracts a wide variety of people from recent graduates in their 20s to more mature people wanting a career change and a new challenge. 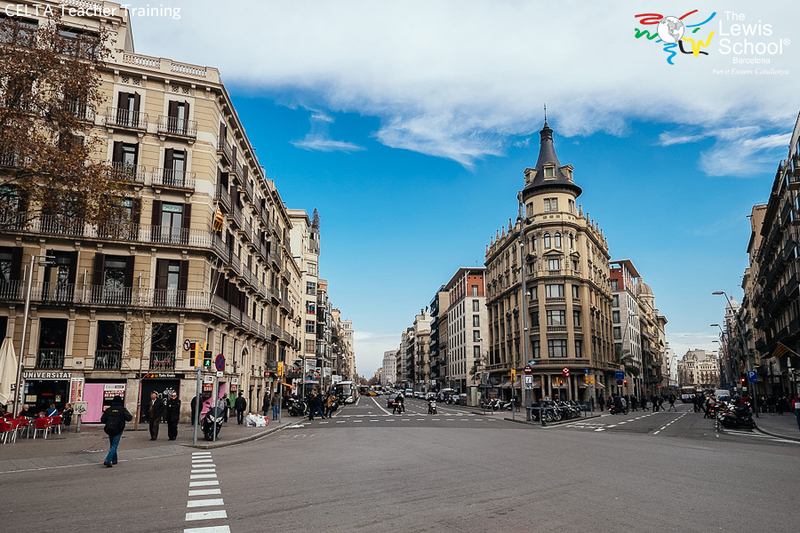 Trainees on a typical course may be a mix of both people for English speaking countries and non-native English speakers from Spain or other countries. You don’t need to be a native speaker in order to successfully complete the CELTA. 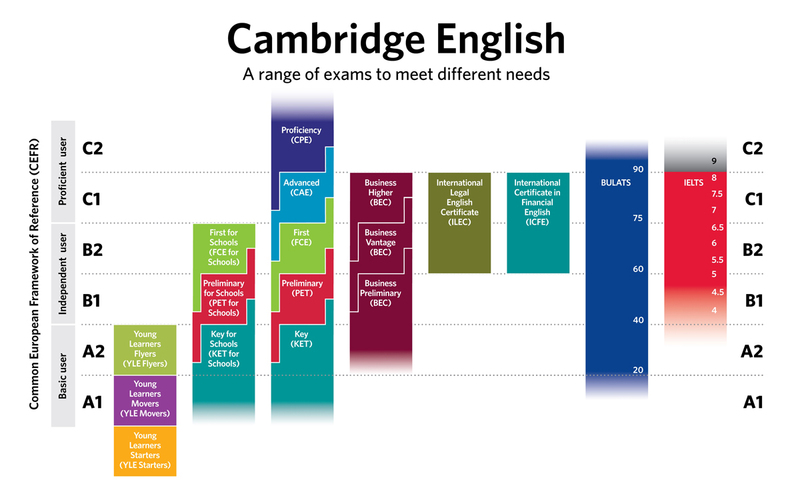 You do need to have a high enough level of English to be able to teach the language at various levels – you should have a high C1 or a C2 level. 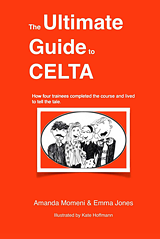 Although most CELTA trainees do have a degree, it is not an essential requirement for entry. In order to be accepted onto the CELTA course, you should have the level of education required for entry into higher education. 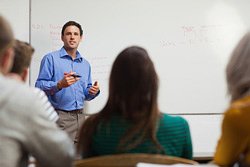 No, you don’t need to have any previous teaching experience – it is designed to be a pre-service course. When will I teach my first class? The CELTA is a practical course and you will start teaching real students right from the beginning of the course. You will be fully supported during supervised lesson planning so you will know exactly what you should be doing. How easy will it be for me to get a job after the course? NThe answer to that question depends on various factors! The CELTA is the gold standard in English language teaching so holding this qualification will automatically make you attractive candidate to potential employers but other things also come into play. These other factors include the demand for English language teachers in the area where you plan to work and the time of year. There is a session on job hunting during the course which will help you make a start and our staff will be available to help and advise you. Do I need a visa if I’m from outside the EU? Non EU citizens are allowed to stay in Spain for up to three months without a visa. With only 1% of CELTA course participants worldwide failing the course, you would be forgiven for thinking it was just a case of enrolling. However, a quick internet search about the intensity of the course will show that it is not to be taken lightly. Follow Anxious Annie, Chilled-out Charlie, Fastidious Felicity and Harassed Henry through their course and let them help you to make sure yours is one you can look back on fondly. - Advice on how to make sure you are offered a place on a course - Background information covering all aspects of the CELTA course - Tips on how to ensure you get the most from your course - Checklists to refer to during your course - Trainees' diary entries. 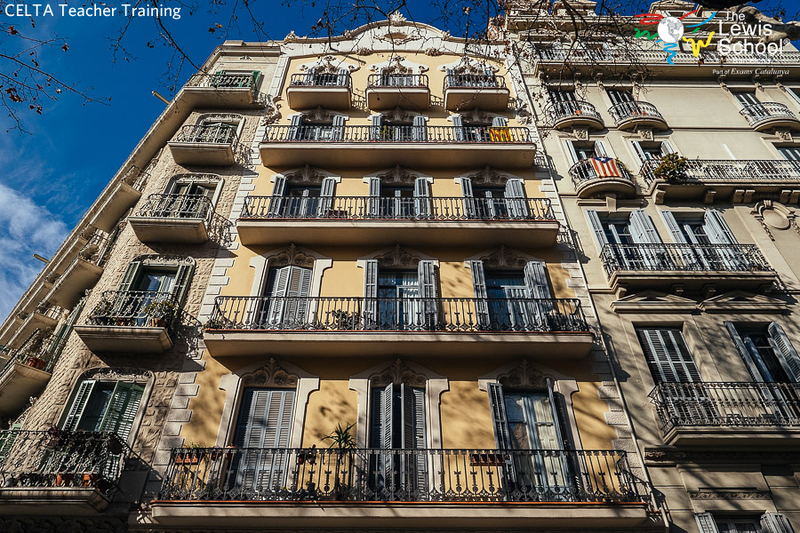 The CELTA course takes place in a centrally located school in the heart of the beautiful Eixample district of Barcelona. 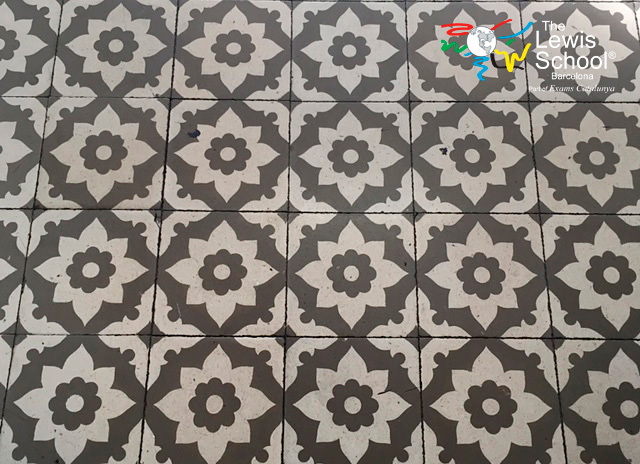 The building boasts traditional period features such as high ceilings and mosaic tiled floors which are typical of the city of Barcelona. 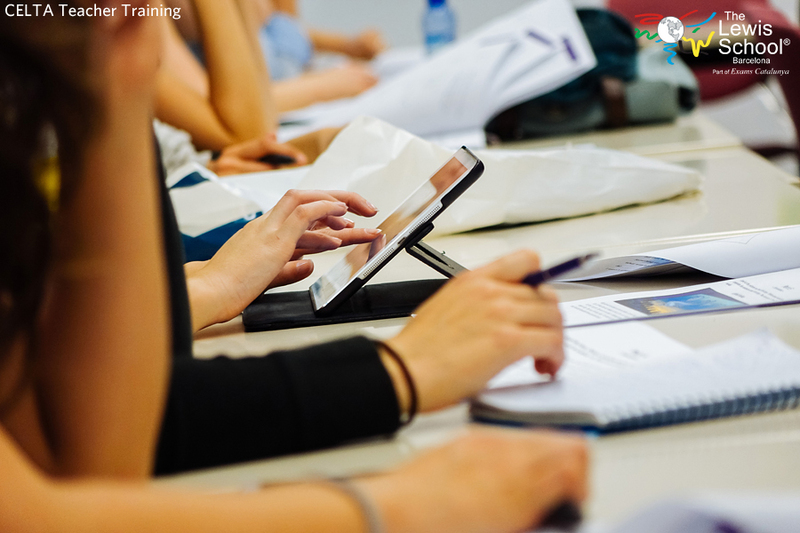 Trainees can count on all the facilities necessary for studying and lesson planning during the course, including high speed internet access, WiFi and a photocopier. CELTA Courses have a minimum of 120 contact hours, plus a further 80 hours plus for required outside of class time tasks, including assignments and lesson planning. Fees include all administrative fees. I am a non-native English speaker, can I take the course? Yes, provided your standard of English will enable you to successfully complete the written assignments and teach at a range of levels you can take the course. This will be decided by when you apply for the course by the pre-interview task and the interview itself. The application process consists of the following steps: the application form and pre-interview task, an interview and finally acceptance on to the course. The process gives you the opportunity to demonstrate that you have the potential to successfully complete the course. The pre-interview task is not an exam and it is fine to do some research to find out the answers. This is what teachers do all the time when prepping their classes and it shows that you have a great attitude to learning! When should I apply for the course? Although we do accept applications right up until the last minute if we have places available, preferably you should apply early in order to be able to take your time to complete the pre-course task as this is important preparation for the course itself. If you are fully paid up a minimum of 8 weeks before the start of the course, you can take advantage of our early bird discount on the course fees. Complete the both the application form and pre interview task* and send them to info@exams-catalunya.com. Once we receive your completed application package it will be checked to ensure it meets our requirements. If it does meet the required standard, we aim to interview you within the next week. The interview will be face-to-face if you live in the Barcelona area or by telephone or Skype if you live elsewhere. 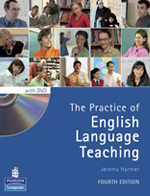 This stage is essential to assess your language awareness skills and teaching ideas. We will inform you of the outcome of the interview in writing within 24 hours (36 hours over the weekend). After you have been interviewed and accepted you will be formally invited to join the course. You can confirm your place by paying the deposit of 500 € (550 € if you want us to arrange your accommodation). The remaining course fee must be settled no less than 2 weeks before the start date of your course. If you apply less than two weeks before the course you must pay the full fees on acceptance. Please note that all correspondence with prospective course candidates is carried out by email. We have a reputation for excellent response to applications. If you do not hear from us within 48 hours of emailing us, please telephone + 34 934 111 333 to check the progress of your application. We accept Visa or Master Card. Please let us have the following information: card type, card number, name as it is on the card, expiry date. You can email or phone through this information. We will delete your email once we have processed the payment. You can also pay by credit card via our e-shop. Important: if the card you wish to use for payment is not in your name, you must complete and send the credit card authorization form signed by the card holder. 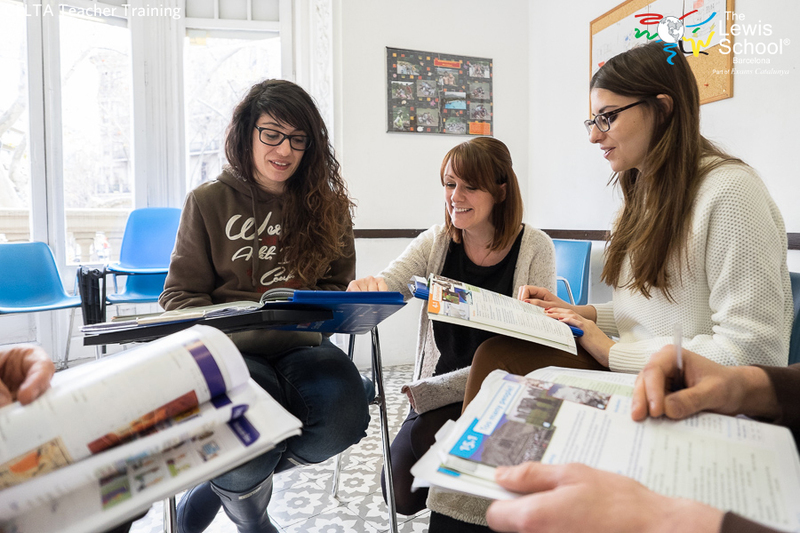 The CELTA course is an initial Teacher training qualification and once you have completed the course you will be ready to begin your new role as an English Language teacher. You will have the first 6 hours of teaching practice under your belt and you will have developed the skills necessary to feel confident in the classroom. The CELTA course will represent your first steps on a path of continuous learning as you progress through your career as an English teacher. 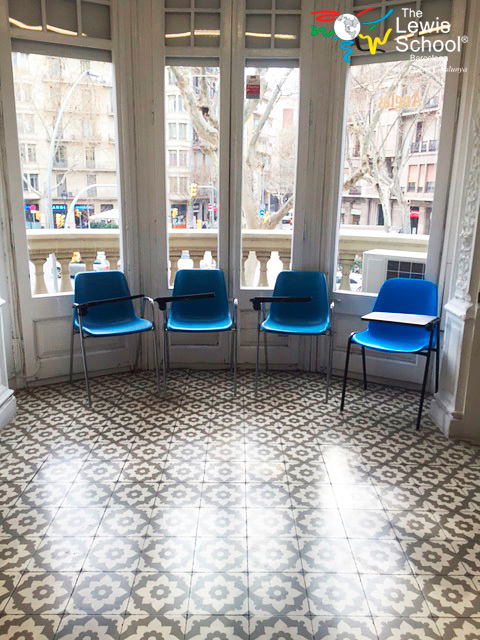 We know that as a new teacher you will still have a lot to learn and for this reason, as a CELTA Catalunya graduate, you can count on a full year of ongoing support and further training. This will start in October with a series of three grammar seminars aimed at helping you become more familiar with some of the typical structures that you will come across as an English teacher. CELTA Catalunya graduates also have free access to the Exams Catalunya and Exams Madrid Teacher Support Programmes for a full 12 months following the course. The Teacher Support Programme is a highly practical series of seminars and workshops where you will develop your skills and gain ideas. The seminar programme also represents a great opportunity for networking with other English teachers and many of our CELTA graduates have even found jobs through contacts made at our seminars. You will also receive a certificate of attendance for each seminar you go to. Every year an expert line up of speakers delivers a range of plenary talks, seminars and workshops aimed at EFL teachers of all levels. You will also be invited to attend the Conference free of charge the year that you complete your CELTA. There are literally thousands of language schools in Spain and even the smallest town usually has at least one. Most schools wait for their teachers to find them - they don't need to advertise. This means that finding work is often a matter of being in the right place at the right time. Other schools, especially the larger ones, have more formal recruitment procedures. Some may ask you do to a demonstration lesson. The best time of year to find work is September, followed by January and June. If you are looking for a contract or full time work then September is definitely the best time. There are lots of jobs going in September, as most schools hire from October to June, except business schools which take people on all year. Nowadays it's unrealistic to find work without a CELTA. In the past, schools in Spain would employ any native-speaker. Thankfully, levels of professionalism have increased! Be wary of a school that will hire you without qualifications, they may be sub-standard in other areas too. Some schools also require a university degree although this is not universal. It’s a good idea to get to know as many other English teachers as posssible as they are often the first to hear that a job has come up. Our Teacher Support Seminars will provide you with an excellent opportunity for this sort of networking. Busy Directors of Studies will often follow up recommendations from teachers already on staff and most will welcome on spec applications. Visiting schools in person and leaving hard copies of your CV can also work – you never know when schools will be looking for extra staff and Directors of Studies will be impressed that you have actively sought out the school and paid them a visit. 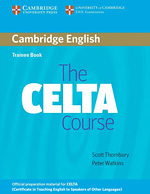 We recommend that you get one methodology book and one grammar book for the CELTA course. You can purchase the books from our online shop. Our accommodation service will organise your accommodation for you. 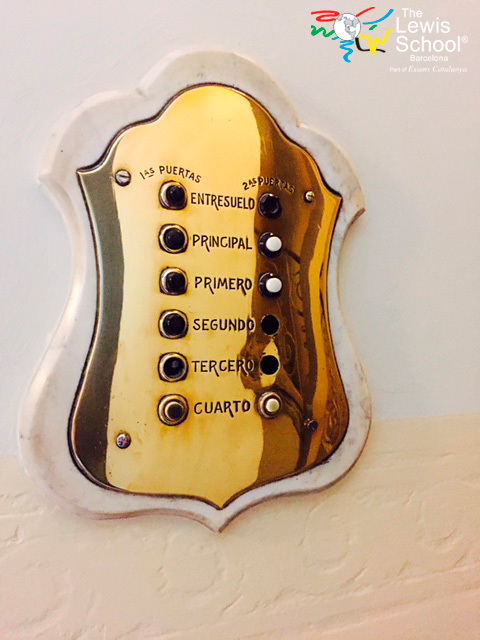 This will be in a rented room of a shared flat in Barcelona. Staying in a shared flat is the most budget friendly way to have a comfortable roof over your head during your stay with us. You'll have your own bedroom in an apartment with up to 4 other occupants who may be students or local families, with or without children. You will have your own set of keys and access to the kitchen and common areas. All tax, electricity and water charges are included and linen is provided. Shared apartments are no more than 30 minutes away from the CELTA Centre by public transport and generally closer. 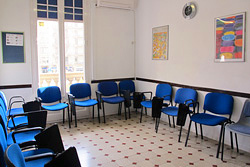 The room rent from 31st July to 31st August is 435 € payable in cash directly to the accommodation. Our fee for this service is 50 €. If you need to stay more days before or after the course you will have to pay 18 € extra per day. Please write a comment on your CELTA application form if you require accommodation. We will send you an accommodation placement form once you have enrolled on the course. 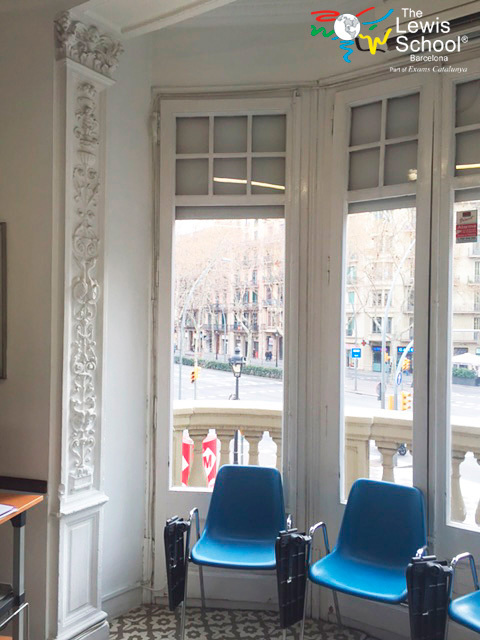 Many CELTA trainees prefer to find their own accommodation in Barcelona. The cost of a room in a flat starts at about 400 € a month but can be considerably more. If you are going to look on the Internet, airbnb.com is a good place to start. If you need any further advice on this please contact us. "I thoroughly enjoyed teaching practice and found it both challenging and rewarding." "The T.P. was invaluable and tutors were very focused, available and helpful with respect to lesson planning." "Started with lots of support and help, guided us to become more independent." "Although it was scary at first, I think it was a great idea to just throw us into teaching..."
"This was great. Good students, good feedback sessions. Excellent idea to immerse us to teaching from day 1. The tutor feedback was a balance of construction and criticism. Well done! Helped in intangible ways!!" "Great experience, even if it was stressful at times!" "The best way to learn!" "Feedback sessions were invaluable. Constructive criticism at its best." The city of Barcelona is the second largest city in Spain, and the capital of Catalonia, with a population of 1.7 million inhabitants and 4 million in the metropolitan area. Its cultural richness, vibrant life, and splendid location have made it one of the most visited cities in the world, with over 4 million visitors per year. There are two official languages spoken in Barcelona: Catalan, generally spoken in all of Catalonia, and Castillian Spanish. 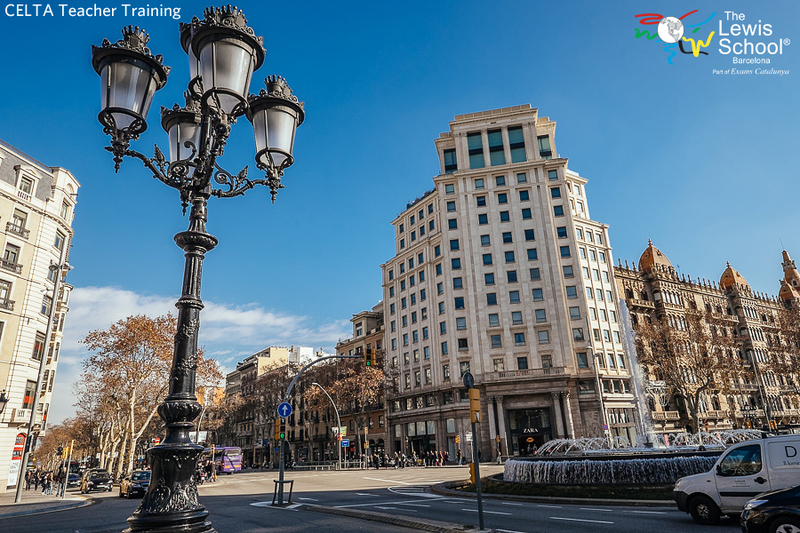 Barcelona is unequivocally a Mediterranean city, not only because of its geographic location but also and above all because of its history, tradition and cultural influences. The old city (Ciutat Vella) offers the visitor a wide range of routes to follow and reconstruct the history of Barcelona by starting at the Roman walls, moving to the medieval streets of the Gothic Quarter and the Ribera. 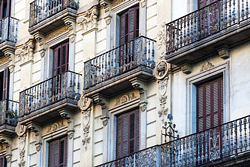 The grid-like city expansion (Eixample), formed at the end of the 19th century, bears witness to the wealth brought about by the economic growth of the period. 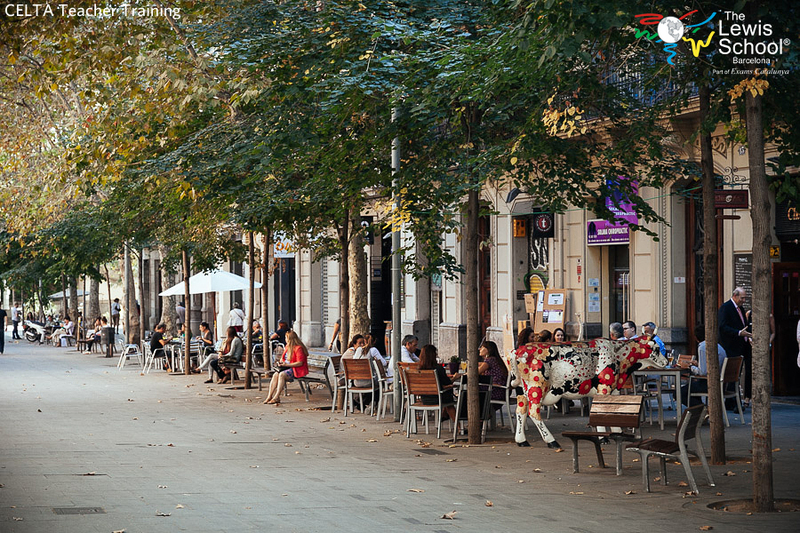 There's nothing quite like a walk down Paseo de Gracia or the Ramblas - this stretch must be one of the most unique in the world. 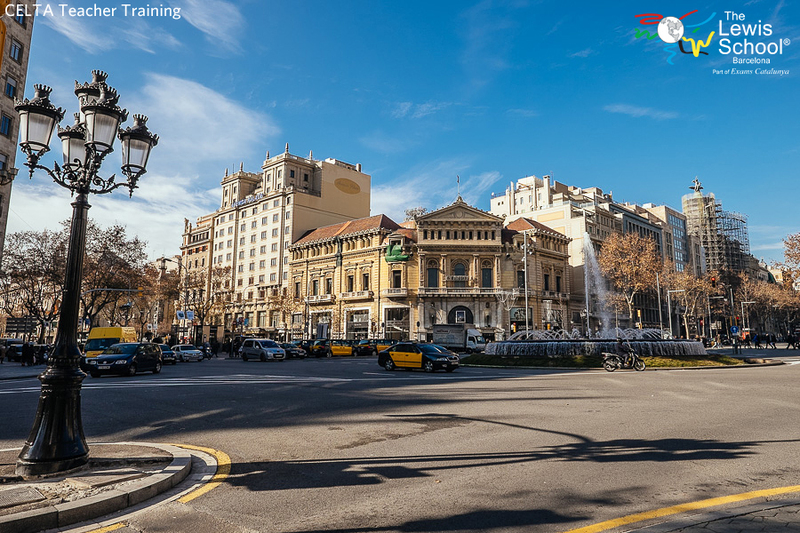 The city's magnificent climate means that its streets, squares and parks are full of people enjoying the outdoor atmosphere and hospitality that the city is so famous for. 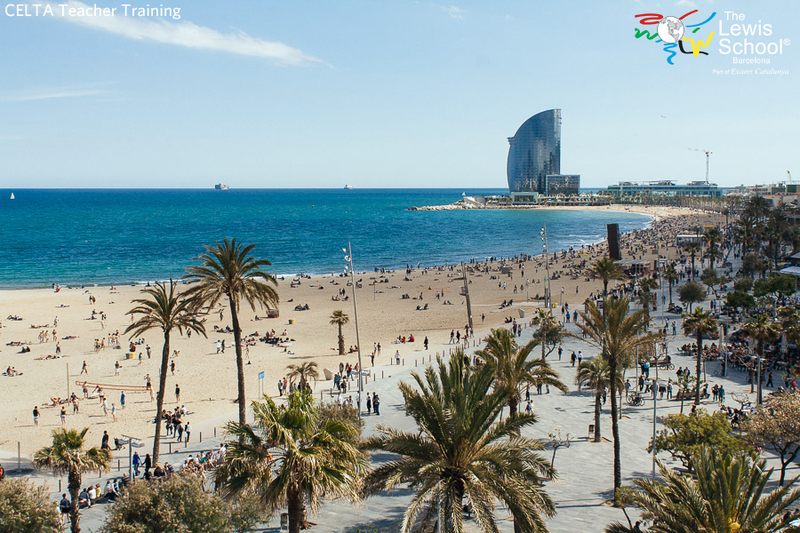 Barcelona offers a wide range of cultural attractions from the Picasso and Miró Museums to the Gaudí buildings, the cathedral, the Gothic Quarter etc. 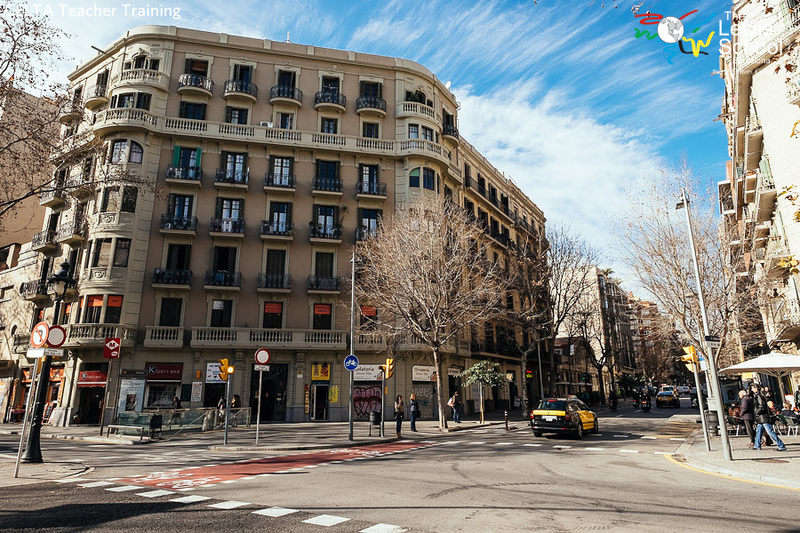 Not only does culture stand out in Barcelona but you will also find an exciting nightlife with bars and restaurants on every corner: the atmosphere is friendly, laid-back and stylish. 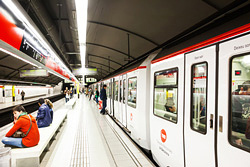 Travelling around Barcelona is cheap and easy. The Lewis School CELTA venue is in the heart of the city and so is on most major bus and metro routes. 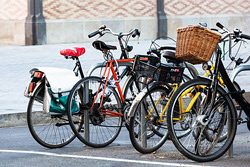 If you like cycling, Barcelona has an excellent network of safe bicycle lanes. This is an excellent way to get about and enjoy our sunny Mediterranean climate. There are many well-worth-a-visit places near Barcelona and which are within easy reach. We recommend the sandy beaches and rocky coves of the Costa Brava, the nearby beach town of Sitges, the Dalí museum in Figueras and the Monastery of Monserrat. An easy day trip can also be made to the impressive Montserrat Monastery and mountain. If you have more than one credit card do not carry all of them with you. Have your credit card numbers, and contact phone numbers, written down in your hotel. Avoid walking in dark isolated back streets, especially if going alone.